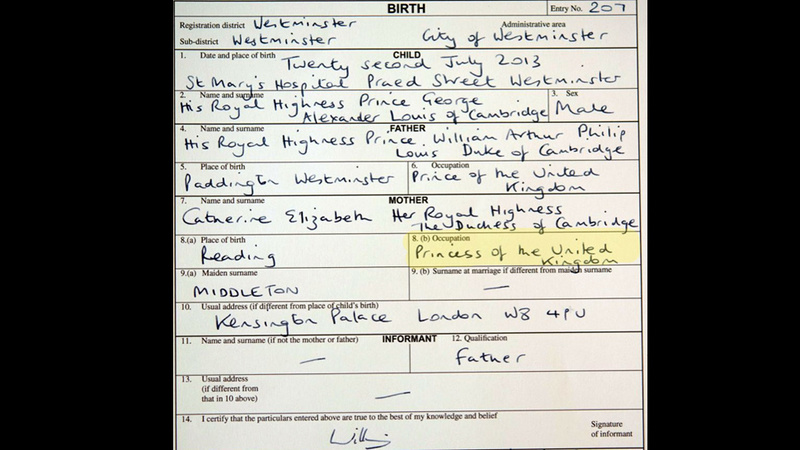 Just as I’m telling my daughter that princess-ing isn’t a real job, Prince George’s birth certificate is released to the public. I love every little detail captured on this piece of paper! Disney couldn’t have created something this good.